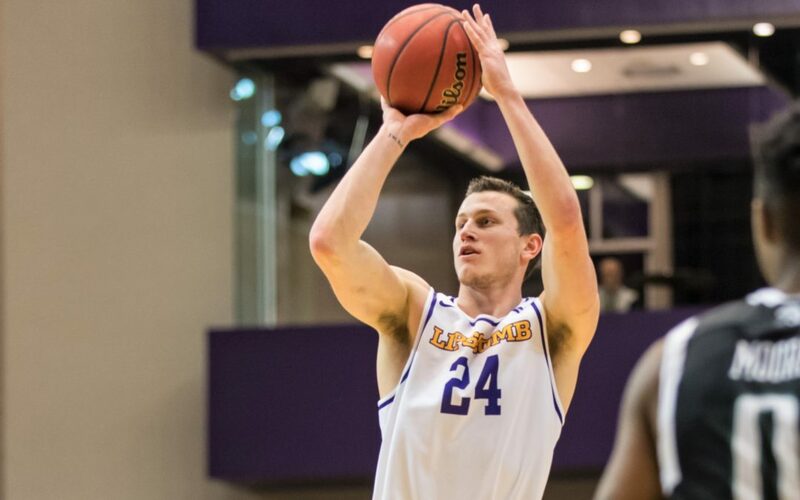 The Lipscomb men’s basketball team didn’t take long to clinch their first win of the 2018-2019 season. The Bisons handily defeated Sewanee by a score of 97-53 at Allen Arena Tuesday night. It appeared the Bisons needed to knock off some rust in the first few minutes of the game as they struggled to find their rhythm. “From game to game there are going to be stretches where you are not performing quite as smoothly as you would like, and it just happened to be the beginning of this game,” Alexander said. Redshirt freshman Ahsan Asadullah made his Lipscomb debut after suffering an ACL injury last year. He finished with 26 points and nine rebounds. Asadullah said he was thrilled to be back on the court for his first game action since he graduated high school in 2017. Senior guard Garrison Mathews had 16 points, while freshman Alex Jones made his debut and chipped in nine points. Michael Buckland, Kenny Cooper and Nathan Moran each had six points apiece. The Bisons now turn their attention to Tennessee State, which will pay a visit to Allen Arena on Saturday at 3 p.m.